Purchasing an LMS is a big decision for any business. But some may experience buyer’s remorse after choosing another LMS vendor. 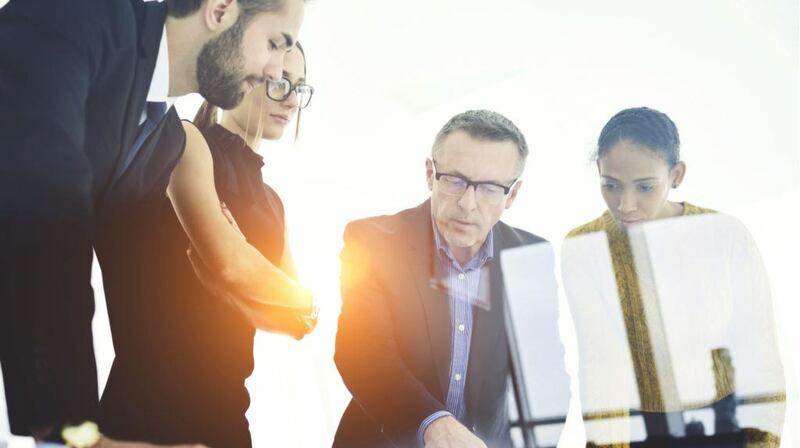 In this article, I’ll explore the 5 top reasons why organizations make the switch and how to use this to your advantage in LMS marketing. Market research is one of the most important parts of product development. You identify gaps in the market and fill them. But it’s also a crucial step in the marketing process. Your top promotional priority should be to position your current tools and features to resolve customer challenges. Namely, how your LMS addresses and eliminates the shortcomings of other LMS platforms. Here are 5 common LMS pain points that you can use to your advantage in LMS marketing. The LMS User Interface has two components. One is the visual. Your LMS has to be aesthetically pleasing and well designed to hold learners' interest. The second element is the functionality. It needs to be easy to navigate. Trainees and developers, alike, should find the information, modules, or reference points they require without working too hard. It should all be intuitive. Show prospects how user-friendly your LMS software is by offering a live demo. This can be in the form of a free trial, a how-to video, or an active walkthrough. Send sales teams to the prospects’ office to physically show them how to use your LMS. You can even offer discounts for spot sign-ups after the demo. Nobody likes to look stupid or admit they’ve made an ‘ID10T error’. It can be hard to ask for help. It’s even worse when you finally gather the courage and there’s no assistance available. Sometimes, the issue is more intense. A customer may be so lost that they don’t even know what to ask. They can’t identify the problem. They just know their LMS ‘isn’t working’. Many times, it’s a simple mistake, like forgetting to log in or authentication issues. Tech support can then seem patronizing and clients can easily take offense. In addition to training your staff to handle non-tech-savvy customers with extra care, you can promote your chatbot instead. Most apps have an auto-responder for nights and weekends. Show it to customers and advise them on how to consult it. You can also offer different support packages based on each organization’s needs. Pricing is always going to be a problem and you need a strong LMS marketing strategy to get past it. Unless your LMS is free, at least one customer will think it costs too much. Even with open source options, users may state the learning curve is costing them in resources and manpower. Pricing challenges can be hard to overcome because your competitors will drag you into a ‘bidding’ war. While you can’t cut costs without affecting your profit margins, you do have options. Sell customized packages that have some features extracted. Consult with your clients to see which tools are must-haves for their organization. Then, have your tech team remove superfluous features and market this tailored version at a discount. You can make it seem even more personalized by branding it in their colors and adding their logo. They will enjoy the exclusive attention and recommend you to others. Plus, this way, every client feels like their LMS is one of a kind, and might pay a little extra for it. Lastly, stress the value for money of your product. Namely, how it will help them improve their online training ROI and eliminate their current pain points. Certain customers place a lot of emphasis on LMS reporting and metrics. It helps them meet internal targets, as well as improving their training products. Analytics range from test scores and drop-off rates to speed of course completion and preferred study times. Do a survey of your prospective customers and find the metrics that are most important to them. You can then promote these particular elements in your LMS. It’s fairly easy to tweak your reporting system so that it automatically generates listings. You can show customers how to create the reports they want. Set up a template so they can do it with one click. You can even show them how to set the LMS software so that it releases weekly reports unprompted. It’s something they can do on their own but doing it for them saves them time and frustration. Organizations need an LMS that grows with them and scales to meet their ever-changing requirements. For instance, they must add on extra features to improve the functionality of the tool. Or they plan to expand their workforce and need an LMS that can handle more active users every month. Thus, your LMS marketing efforts should be geared toward the flexibility and scalability of your platform. For example, emphasize how they can choose a different package at any point or upgrade by adding extra features, such as a larger asset library or more advanced support options. They need to know that your LMS is going to stand the test of time, instead of falling short like their last platform. Sometimes working backwards is the best marketing tactic. Discover what ails your potential customers and show them how your product can fix it. When it comes to LMS marketing, there are many common drivers for switching to a new one. Use those drop-off stats to promote your own LMS software. Run live demos at client offices to show them how user-friendly your software is. Steer them towards chatbots to avoid the embarrassment of absent or know-it-all tech support. Last, but not least, offer a tailored LMS at lower price points and emphasize the value for money your LMS solution offers. 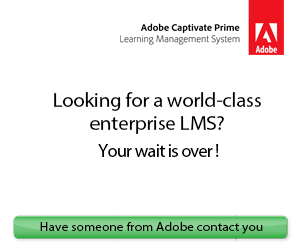 Have you created a requirement list for your new LMS platform? Have you factored in all its costs? Can you really afford your top LMS contenders? Or are there hidden LMS fees that may whittle down your limited resources? Download our free eBook How To Buy The Right LMS: The Complete Guide to find out the tell-tale signs that your organization is ready for a Learning Management System, the top criteria for choosing the best LMS for your organization having all possible LMS hidden fees in mind, as well as the LMS reports you should look for in a new LMS.